What – or who – is a treating physician? A treating physician is a medical doctor who provides medical treatment for you and has, or has had in the past, an ongoing relationship with you. There needs to be a history of treatment between the medical provider and the patient for the medical provider to be considered a treating physician. Why Are Treating Physicians Important In Disability Cases? To understand this, we need to look at the history of the “Treating Physician Rule”. The Treating Physician Rule is a legal concept that began in context of Social Security Disability claims. Under the Social Security Administration’s rules and regulations, the opinion of a treating physician is given “great weight” at a Social Security disability or SSI disability hearing before an Administrative Law Judge (ALJ). This is because the disability applicant’s treating physician is presumably in the best position (based on the history of treatment) of being able to render an informed and valid opinion regarding an applicant’s prognosis and functional abilities. Thus, in a Social Security disability claim, ALJs are required to give substantial weight to the opinions of a treating physician. There is no Treating Physician Rule in ERISA long term disability insurance claims. However, as described below, some courts have adopted principles from the Treating Physician Rule. 5. It is clear from the record that Ms. Anderson’s job required her to use a computer on a near constant basis. Defendants have not offered evidence, and it is hard to imagine, how Ms. Anderson could perform her job without using a computer. Doctors who personally examined Ms. Anderson, including Dr. McClincy and Dr. Langman, concluded that Ms. Anderson’s condition made it impossible to for her to reliably perform this essential job function. R00414; R00513-14. This evidence alone is persuasive that Ms. Anderson is disabled under the Plan. See Salomaa v. Honda Long Term Disability Plan, 642 F.3d 666, 676-79 (9th Cir. 2011) (evidence showing that the doctors who personally examined the claimant concluded that he was disabled, even though insurance company’s non-examining physicians found otherwise, supported finding that the claimant was disabled under terms of the plan). In the case cited above, the court directly applied the treating physician rule to award the plaintiff disability benefits under a de novo standard of review. The United States District Court for the Central District of California does not go quite that far in Carrier v. Aetna Life insurance Company; however, the plaintiff prevailed under a de novo standard of review and held entitled to benefits under the “own occupation” definition of “disability” because the court found the plaintiff’s treating physician opinion to be more compelling than the opinions of Aetna’s reviewing doctors. This court, unlike the case cited above, does note that there is no treating physician rule in ERISA cases, but neverthless finds plaintiff’s treating physician’s opinion more compelling for factual reasons in the individual case. Defendant, of course, presented the conclusions of several doctors who disagreed with Dr. Corrado’s findings after conducting peer reviews. Plaintiff challenges these reviews in part on the basis that none of these doctors ever treated Plaintiff or even examined her in person. Indeed, they performed their analyses based on the medical examinations performed and records kept by Dr. Corrado. As Defendant argues, however, Defendant was not required to send a doctor to perform an in-person examination of Plaintiff. See Brown v. Conn. Gen. Life Ins. Co., No. C 13-5497 PJH, 2014 U.S. Dist. LEXIS 175112, at *37–38 (N.D. Cal. Dec. 17, 2014) (“[W]hen the court reviews a plan administrator’s decision de novo, the burden of proof remains with the claimant to establish that he/she is entitled to benefits and does not shift back to the administrator once the claimant has advanced some evidence to support his/her claim, as plaintiff suggests in arguing that [defendant] was obligated to arrange for an in-person medical examination rather than relying on the analysis of the file by its in-house nurse reviewer and in-house psychiatrist.” (internal citation omitted)). Similarly, the Court does not grant deference to Dr. Corrado’s conclusions simply because he is the physician who has been treating Plaintiff. See Black & Decker Disability Plan v. Nord, 538 U.S. 822, 831 (2003) (“Nothing in [ERISA] suggests that plan administrators must accord special deference to the opinions of treating physicians.”). Nevertheless, the Court finds Dr. Corrado’s conclusions sounder than those presented by the peer reviewers. Many of the opinions rendered by these reviewers are presented in conclusory fashion, making it unclear how they reached such starkly contrasting results from those of Dr. Corrado despite reviewing the same materials. For example, Dr. Mendelssohn’s report largely summarizes the results of Dr. Corrado before simply concluding that there was “a lack of specific examination findings and behavioral observations to clearly substantiate the claimant’s current cognitive functioning.” (AR1346–47.) The greatest detail she provides in her review concerns a perceived discrepancy between Dr. Corrado’s characterization of Plaintiff’s suicidal tendencies and his notes on the subject. Specifically, Dr. Corrado wrote in his notes that Plaintiff “continue[d] to feel suicidal and ha[d] a plan” but that she promised not to harm herself, but in a phone call with Dr. Mendelssohn he stated that she was “extremely suicidal.” (AR1336, 1347.) The Court does not find this discrepancy material, particularly given that his notes clearly corroborate that Plaintiff was suffering from suicidal inclinations. A disability applicant should try not to bounce around from one doctor to the next. That’s because a doctor with whom you do not have an established medical history may not be considered a reliable “treating physician.” In addition, you should try to make sure your treating physician is a doctor. The opinions from licensed physicians (MDs), osteopaths (DOs), optometrists, podiatrists, psychologists and speech pathologists will carry greater weight than nurse practitioners, chiropractors, therapists, naturopaths and other medical providers who are not MDs, DOs or PhDs . 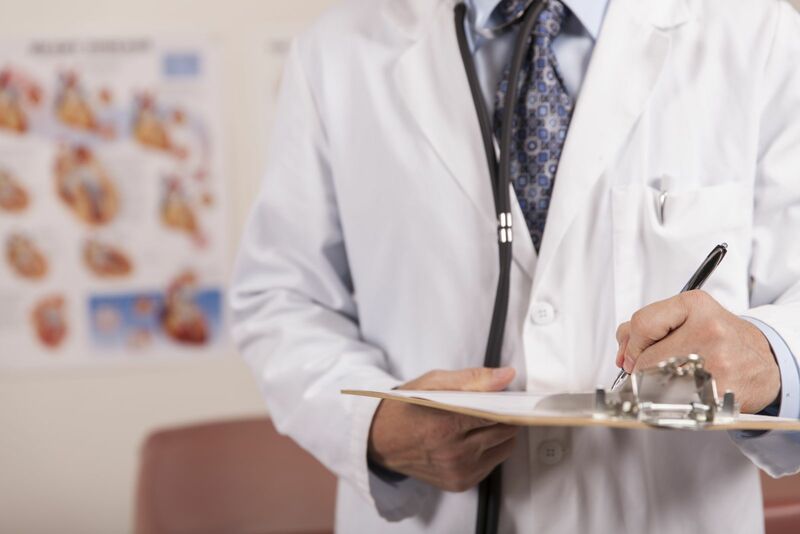 Learn why it is important to get a medical source statement from your treating physician and how doctors can help you obtain a disability approval.